While many will argue that the tango was born in Buenos Aires, there is a quite a bit to suggest that its roots can also be traced back to the other side of the Rio de la Plata, in Montevideo. 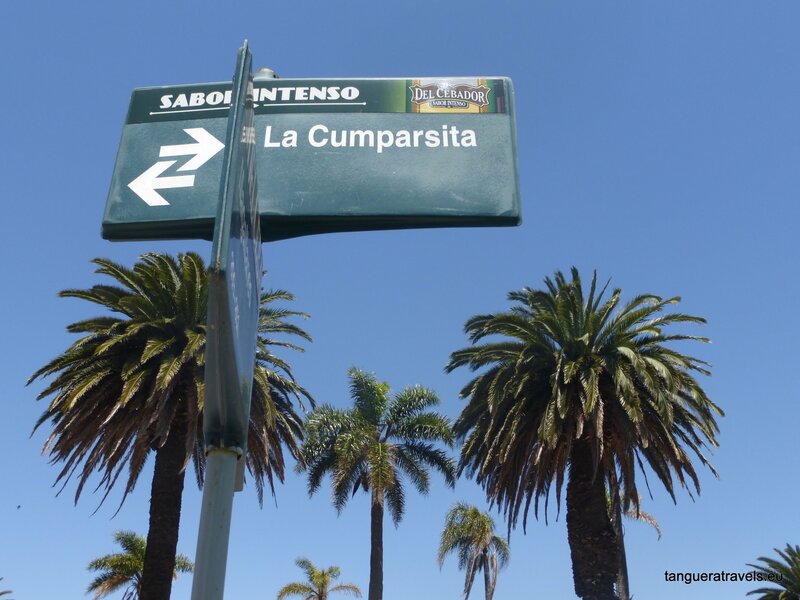 The world’s most famous tango, La Cumparsita, was composed by a Uruguayan. 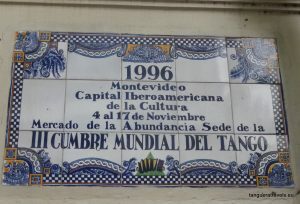 There is a week long festival in Montevideo every year to commemorate it and next year will be the centenary. 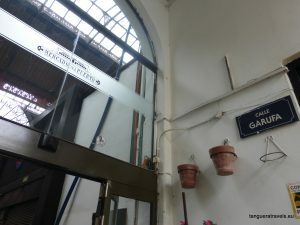 The entrances of the Mercado del Puerto are each named after tangos created and composed by Uruguayans. 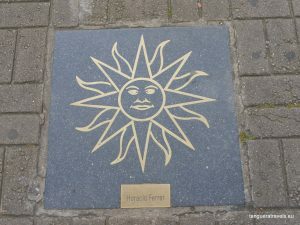 Uruguayan tango composer and poet, Horacio Ferrer is honoured along the city’s very own walk of fame in the old city. 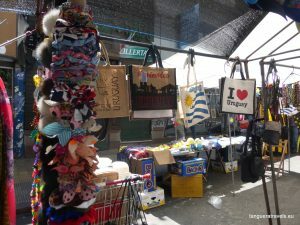 A few weeks ago, I returned from three weeks of travelling in Argentina and Uruguay. Over the next weeks (or more likely, months, given the average time it takes me to write a post!) I’ll be sharing my stories of dancing tango on both sides of the Rio de la Plata, as well as what I got up to when I wasn’t dancing. This post focuses on dancing tango during my first trip to Montevideo. Unusually for me, I had done no research whatsoever on where I was going to dance ahead of this trip. 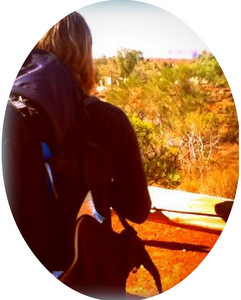 I really wanted to have a holiday where I just woke up each day and decided spontaneously what I wanted to do and where to go. But apparently tango karma was guiding me when I booked my accommodation. Because it turned out that I was staying just a five minute walk from where a milonga was taking place and there was going to be live music. After entering the hotel lobby, I followed the sound of tango music to the bar just beyond the foyer. A few people were sitting at the tables arranged around the still empty dance floor. It was early, just after nine. I couldn’t see where I was supposed to pay the entrance fee, so I went to ask at the bar. There I got talking to two women, one of them working behind the bar, the other was her friend. When they heard I danced tango, one of them started looking around and introduced me to a tango teacher who was organising the milonga. The live music started around eleven with two guitarists, later a violinist, keyboard player and a singer joined in. I don’t think I have ever been to a milonga with such a variety of tango styles – from classic tangos, to nuevo including Piazzolla. The DJ also played some electronic tango. It was a very enjoyable evening and good introduction to the Montevideo tango scene. Worth checking out even if you don’t dance to discover some local musicians. 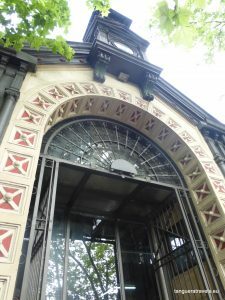 Before I left home, I had been in touch with the Guru’guay, a Montevideo-based blogger and author of – to my knowledge – the only guidebook on Montevideo. She put me in touch with Juanita, a local musician and tanguera, who kindly offered to take me to a milonga on Friday night. After a day of exploring Montevideo, it was a struggle to stay awake, even after a late afternoon siesta. But somehow I found myself waiting at Plaza Independencia just after midnight. Those who have been reading this blog since the beginning know that you’re never too tired to tango. 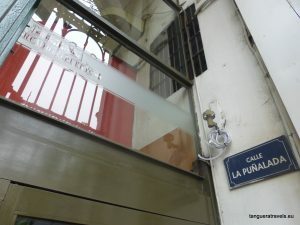 The milonga was on the first floor of a cultural centre, a short walk from Plaza Independencia. Dimly lit with seats on either side of the dance floor, it was a beautiful room with a high ceiling and a large dance floor. It was very crowded by the time we arrived. Eventually we found a table close to friends of Juanita. The standard of dancing was very high and I kind of knew as I sat down that I would be spending most of the evening in that seat. Or perhaps the way my evening went was due (at least partly) to my own negative mindset? A lack of confidence is often reflected in your posture, facial expression, the fact that you don’t meet others’ eyes. Not good in a milonga where the cabeceo is practised, such as this one. The rest of the time, I did what you do when you’re not dancing at a milonga. I sat and watched some really great dancing. I enjoyed the music. I admired other women’s shoes and debated whether or not it was time to invest in another pair for myself. I stayed late in the hope of another tanda, but it wasn’t to be. Not this evening. Entrance for the concert and milonga: 160 pesos for non-members; concert starts at 8pm, milonga at 9:30 pm. Mercado de la Abundencia, also known as “the cathedral of tango” is home to Joventango, a non-profit organisation which organises milongas every day except Thursdays and Saturdays. They also organise the annual Montevideo Tango Festival in October (5 October is the Uruguayan National Tango Day). For more information see their website or facebook page. On Sundays, the milonga starts around 9:30pm, after a concert and performances of students and teachers from one of the local dance schools. The evening I went, Claudia Puerto and Gabriella Regueiro gave an amazing concert to an enthusiastic audience, who happily sang along to the chorus of milonga sentimental. When I had arrived, I had been asked where I was from and assumed they were just curious. But in a break during the concert, one of the organisers called out the countries of all those from abroad to welcome each guest individually. The evening I was there, there were people from Spain, Switzerland, Ecuador, Ireland and French Guyana. There is at least one milonga every night of the week in Montevideo. On Monday there is only one (organised by Joventango). On other nights there are at least two or three to choose from. The website of DJ Vero Bares, is a good source of up to date information. It also has a handy overview of the week’s events in pdf format. Apart from the facebook pages of the milonga venues, you could also join a facebook group such as Tango Uruguay or Milongas en Montevideo , where information is also posted. 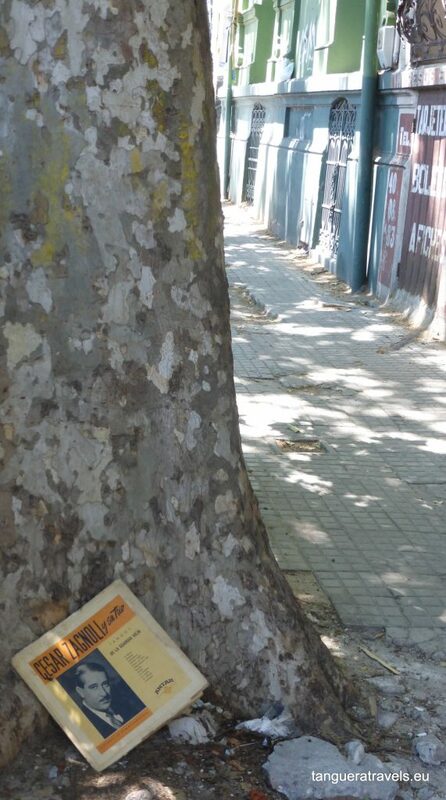 The Guru’guay’s Montevideo guidebook also has a section dedicated to the local tango scene. Have you danced tango in Montevideo, either as a visitor or a local? Or are you planning to? I’d love to hear from you in the comments below! Thanks for allowing us to travel with you through this post! I discovered your website from Google and I have to state it was a great find. I plan on travelling to Montevideo next mid-January to February to immerse myself in the local tango culture for a month at least I hope. Do you happen to know if the classes/milongas are happening all year long? I read that January is also when people take holidays.. Many thanks for your help and I love the idea of your blog! Wow! A month in Montevideo sounds great! I was there in November, so I don’t know if classes are organised all year. January is indeed the summer holiday period, but I think it’s more towards the beginning. I would be very surprised if there were no milongas at all. I think facebook is the best place to go for up to date information. 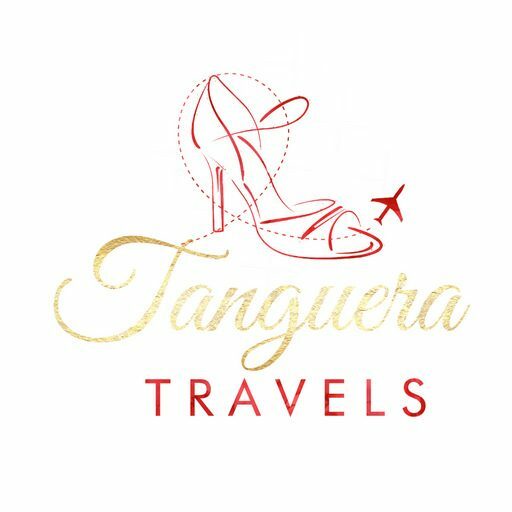 Usually what I do when I’m planning a trip is to contact tango teachers/milonga organisers directly. There is one group called “Tango in Montevideo” which is quite active and another called “Tango in Montevideo” and many more. 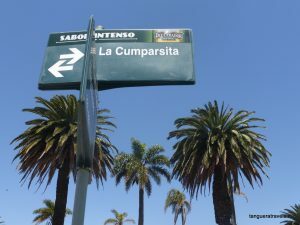 It’s over two years since I visited Montevideo and I found the tango community there small, but very welcoming. Definitely less scary than Buenos Aires 🙂 Check also in case there happens to be a festival in one of the other cities (eg Puenta del Este or Colonia). Have a great tango time in Montevideo!